A mine plow is tank-mounted device designed to clear a path through a minefield, leaving a safe path for following vehicles. 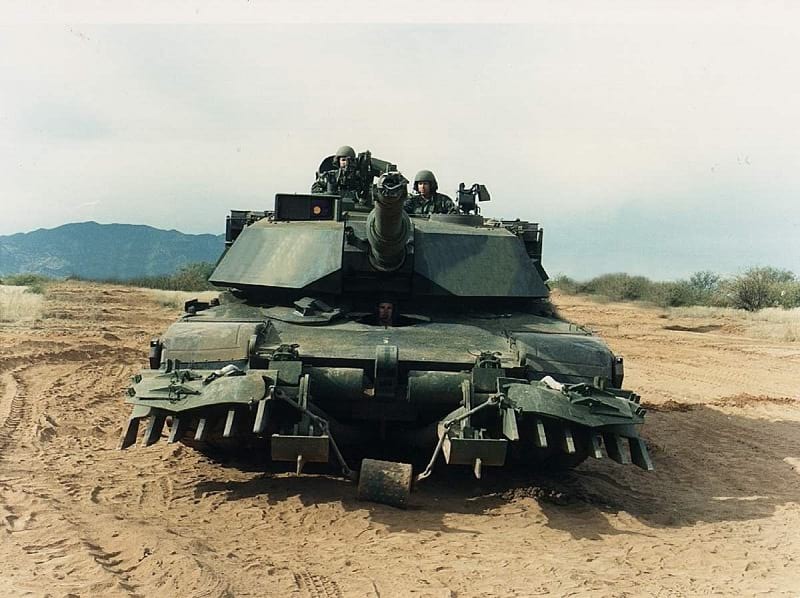 U.S. Army M-1A1 Abrams with a Track Width Mine Plow (TWMP) supplemented by a "roller and chain" assembly between the plows. 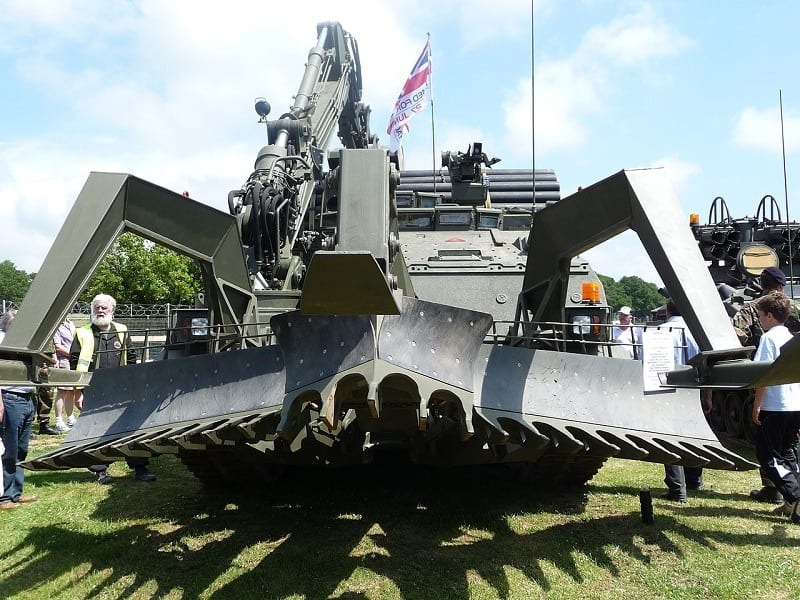 Trojan AVRE of the British Royal Engineers with full-width mine plow.